MyLiferaft - World Autism Awareness Day - How are you supporting? World Autism Awareness Week begins on 26th March 2018 and culminates on World Autism Day on 2nd April 2018. The National Autistic Society is the leading UK charity for autistic people, including those with Asperger syndrome, and their families, so they run this awareness week each year to raise money and awareness to provide much needed support. The National Autistic Society offer many suggestions for getting involved with this year’s World Autism Awareness Week, from joining an organised Night Walk to running, cycling or swimming 7k to show your support for the 700,000 people diagnosed with autism in the UK. The money raised helps the charity to continue raising awareness of autism through campaigning, training professionals who work with autistic people and much more. With World Autism Awareness Week in mind, we thought we’d take a look at what it means to be on the autism spectrum. “Autism is a lifelong developmental disability that affects how people perceive the world and interact with others. Luckily, there are many charities and societies that are dedicated to empowering those with autism, supporting their healthcare needs. 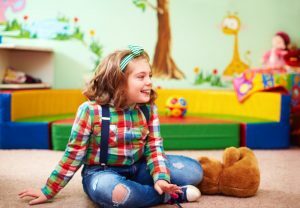 BeyondAutism, for example, run Independent Special Schools for children with autism, aged between 4-19, with Post-19 provisions, and training programmes for those who work with autistic children and teenagers, while Child Autism UK provides invaluable services and advice for families of children with autism. Their services include Applied Behaviour Analysis (ABA) courses, which examine the cause and consequences of behaviours then develop suitable interventions for them. How can Liferaft help those with autism? As recognised by the work of these charities, it’s not just those diagnosed with autism who face additional challenges every day. The families of the 700,000 diagnosed in the UK alone also require support and assistance to make caring for their loved ones more streamlined and beneficial to all. For families with autism, there are constant challenges and concerns to consider. James from the Stories About Autism blog writes of his worries as a parent of two young sons with autism here. It’s a particularly poignant piece that details his thoughts and fears on raising his children, from wondering whether his children will ever speak to how they would cope in hospital, and what will happen in his sons’ futures? Questions that are instantly relatable to fellow parents of autistic children. Parents of those with autism frequently worry over the ability to provide effective care for their children. As a parent of a child with disabilities, our founder, Nicola, experienced similar worries when she designed Liferaft, a tool to manage the care of her daughter in one place. Nicola’s story as a parent carer is available to read here. With Liferaft, Nicola aim was to be able to share vital information on her child’s health with those who needed it, from medical professionals to other caregivers. Since developing Liferaft, many other parent carers have benefited from its ability to manage care, including parents of children with autism. Take a look at our testimonials to learn more. We also have a wealth of helpful support and advice on our Resources page here. Our Liferaft application has been designed to help parent carers of manage their loved one’s care plan in a secure place. Use Liferaft to keep all your vital information in one place, track goals, manage your address book and more. It’s an invaluable tool in helping make caring for others easier. Try Liferaft for FREE today.